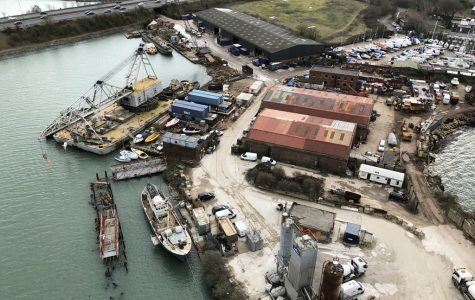 Boatbreakers can assist in vessel disposal, whether it’s a quiet sale, removal or repossession and keep the whole matter on a very discreet basis. Boatbreakers employ trained marine surveyors and maritime engineers who are able to use our knowledge and experience to professionally resolve vessel problems worldwide. Boatbreakers can deploy a surveyor, marine engineer, diver or salvage expert to your boat today, or if it’s advice you need just call. That’s any yacht, motorboat or ship, any size, any condition, anywhere. Boatbreakers specialise in disposal of end of life boats. If the vessel has been neglected, needs an expensive repair or the owner has fallen behind in her maintenance and now just can’t afford to get her shipshape again call us. We can have the boat removed and the financial burden lifted within two weeks. Our team will then get the boat back to our yard in Portsmouth where we will decide whether to crush the boat or sell parts on. We can even find a buyer who will take her on as a project and you can then relax in the knowledge that your former pride and joy will get a new owner who can afford to invest in her and get her back on the water. We also buy, sell and provide bespoke brokerage services worldwide to owners of yachts, motorboats, super yachts and commercial shipping lying in harbours, boatyards, marinas and docks to owners, agents and lenders who need to discreetly dispose of, profitably resell or scrap these vessels whatever condition they may be in. If the yacht, motorboat or ship is proving overly expensive with increased marina fees, maintenance and insurance, or has been neglected and now needs significant and un-affordable work doing to her, or your broker is struggling to sell her for whatever reason, we can and have a range of solutions designed to ease your worries. If you have a vessel no matter what size, in a harbour, marina, on a mooring or anchored and you need a quick sale to release the financial burden and liability of boat or ship ownership, or you represent a finance house or bank and just need it sold, call us. If you are a lender, insurer or loss adjuster and need the boat repossessed, or want the hull to be scrapped or sold off quickly Boatbreakers can help. We arrange worldwide boat repossessions, collections and relocation from any port, anywhere and can send a crew with a captain at a moment’s notice. We provide a professional, discreet and committed service that won’t mess you about.